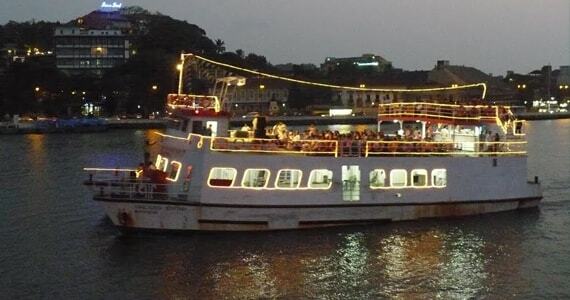 Goa Tourism Development Corporation arranges various river cruise trips on the River Mandovi in Goa. 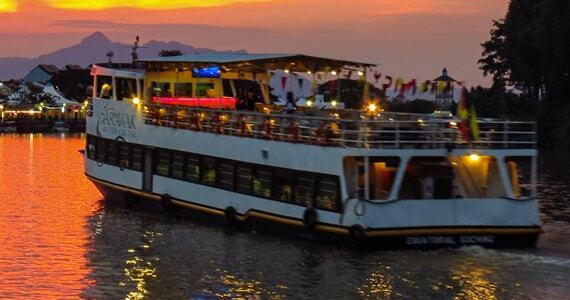 These river cruises which include trips like Sunset Cruise, Sun-down Cruise, Full-moon Cruise, etc. promise a fun-and-entertainment filled time on board. The sailing begins from Santa Monica jetty that takes you along the Adilshah palace, the first building in Panaji which was then used by the Viceroy of Portugal to beautiful colonial buildings,the epitome of the Portuguese era. Furthermore, it passes the Miramar beach and then gets back to the jetty. Professional troupes perform various dances like the Dekni Temple Dance, Fugdi Dance, and Corredinho Dance. Live orchestra, DJ performances, and other entertainment loaded activities like juggling, magic shows, etc. makes your day. Guests, on board, can also hit the floor if they are interested. 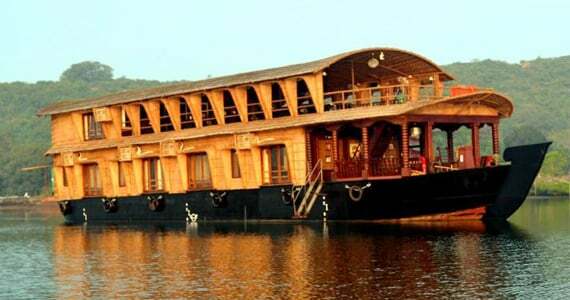 House-boats, the best of its kind, takes you closer to the nature in the backwaters of Siolim. Sailing in this Luxurious boat will let you fish, spot dolphins, relax while you watch the sunset and the sip in the beauty of the moonlight and wake up the next morning to the sound of nature while the birds chirp. 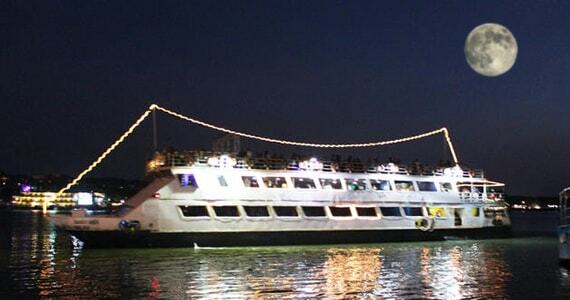 The Sunset cruise is an hour long ride which flaunts a spectacular view of the sunset along the Panjim riverfront. While you soak in nature’s beauty, fun-filled activities like folk dance, live orchestra, etc. are organized to entertain you. As the sun sets, this one hour trip promises you fun and entertainment. While the Goa city lights up, you enjoy a beautiful view of this dazzling city from the riverfront. Anyone would love to get lost in the beauty that the night displays when the moon takes the throne and rules over the dark sky by painting it with its light. Full Moon cruise is a special cruise that offers you a two-hour long ride that will certainly take you to a another world. 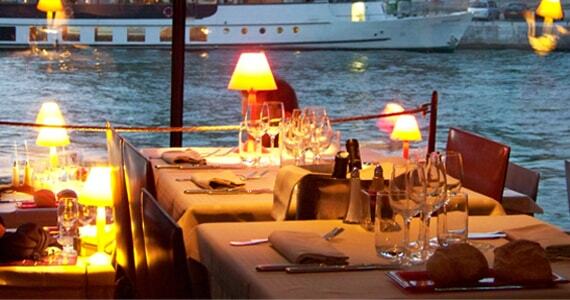 Dinner is served on board at an extra cost. Guests are also free to bring their own food and drinks. The cruise leaves the Santa Monica Jetty at 8.30 pm and sails for two hours. The menu includes the mouthwatering food of Goa! 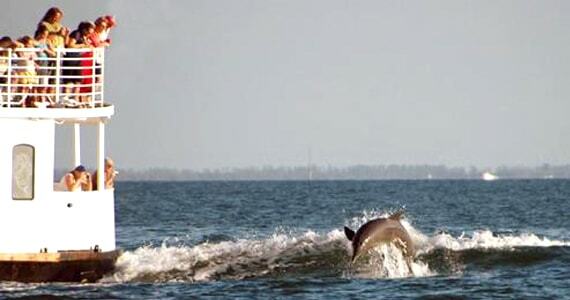 The Dolphin Fantasy cruise takes you closer to the dancing beauties of the oceans, the Dolphins. They gracefully swim along your liner and fascinate you with their playful stunts.